HTC has embraced Android and - propelled by the success of the platform and excellent brand recognition - it posted another very strong quarter. After-tax profits nearly tripled on the background of growing numbers of shipped handsets. The exact numbers show that HTC's profits amounted to $517 million, while the operating margin was as healthy as ever at 15.8%. 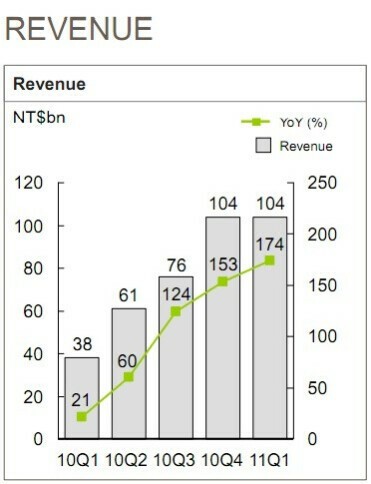 At the same time, the company managed to ship 9.7 million handsets, a 192% on the year and 6% quarterly increase. 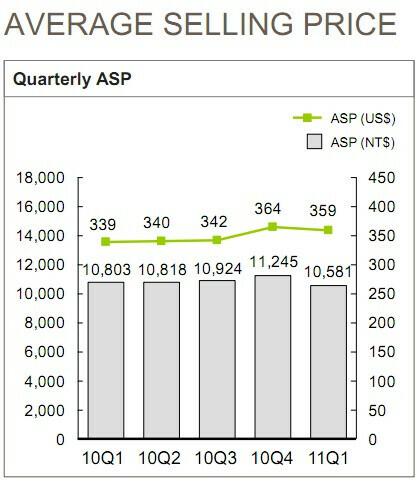 One of the key factors, average selling price, slipped slightly to $359, but is still one of the highest in the industry. But what's behind the company's success? We can't agree more with what HTC itself points out in its statement: “HTC’s strong brand recognition and product innovation drive better-than-expected 1Q momentum.” While some might blame the Taiwanese for the largely identical designs, they have managed to create an easily-recognizable lineup of products. One that says HTC from the get-go with its premium and uniform solid design and HTC Sense UI. It might be true that we haven't seen anything groundbreakingly new from the company, but little tweaks go a long way. And that's what the company has mastered with its slow, but steady updates to Sense UI for example, adding practical innovation like weather updates straight from the lock screen, or silencing ring tone volume when you pick up the handset, rather than reaching for the stars in Sense 3.0. Actually, Sense UI and the upcoming movie rental service HTC Watch are in the core of the company's strategy for the future. The HTC Sensation will be the first promoting those features along with the next generation of dual-core processors. But while that's all a part of the strategy for the second quarter, the manufacturer has managed to make a nice transition with models like the HTC Incredible S, Desire S and Wildfire S.
"While some might blame the Taiwanese for the largely identical designs"..... I am not sure why people are starting to slam HTC due to the design of the handsets. Nearly all devices follow one of a few designs based on the form factor they use. The way a device looks only makes a difference to the person who buys it, then it is about the way the thing performs. The iPhone has looked the same since it's inception- but people love the way it performs and the features it has, so they keep coming back. The biggest problem with RIM devices aren't the appeal- how many former users of Blackberry Bolds moan about the loss of the great keyboard and true candy bar form? But it's operation became stale, so consumers moved on to an OS like Droid, found a phone they liked, and responded to the operation. 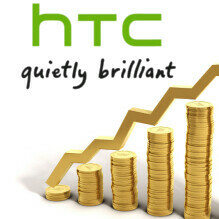 I like HTC, but it is because of it's great performance they are turning a profit. Besides, they look okay - It is not like the things all look the same but are dawg ugly. 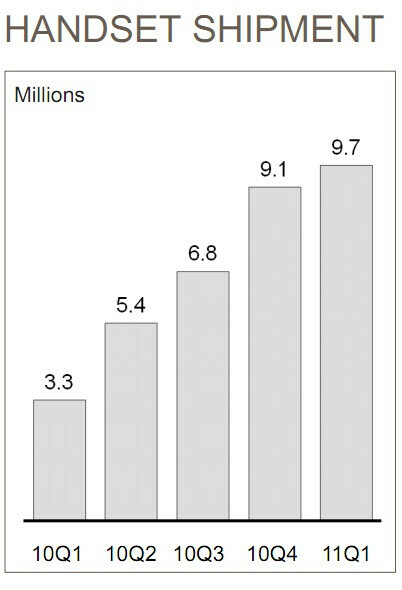 Amazing growth considering they haven't been around as long as the others (Samsung, Apple). Based on the forums I've read (and the brief time I had once with an EVO 4G), it seems that they products are quality made. And the latest announcements of Sense 3.0 truly brings a sense of fun and excitment to the smartphone. Great job, HTC. You're the little company that could.